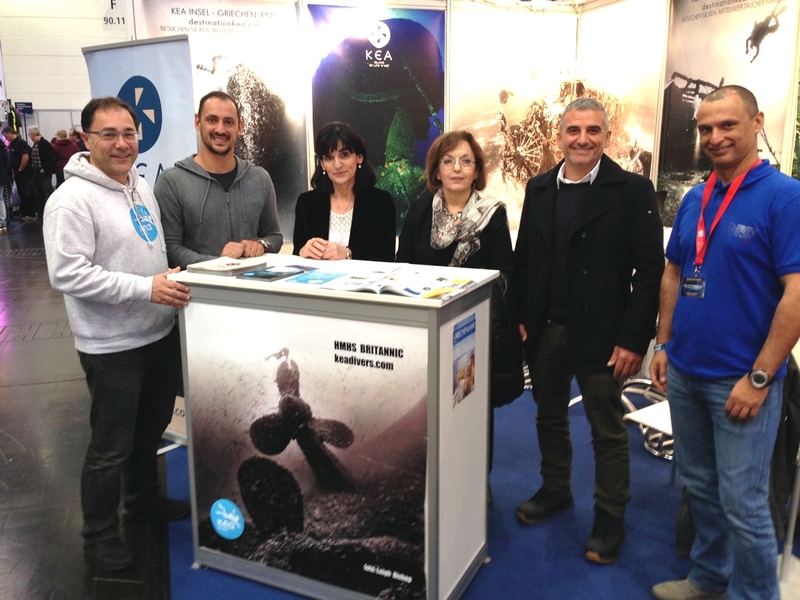 Kea successfully participated in the international exhibition of yachts and marine tourism, which was held in MESSE exhibition space, in Düsseldorf, Germany from 21 to 29 January 2017. 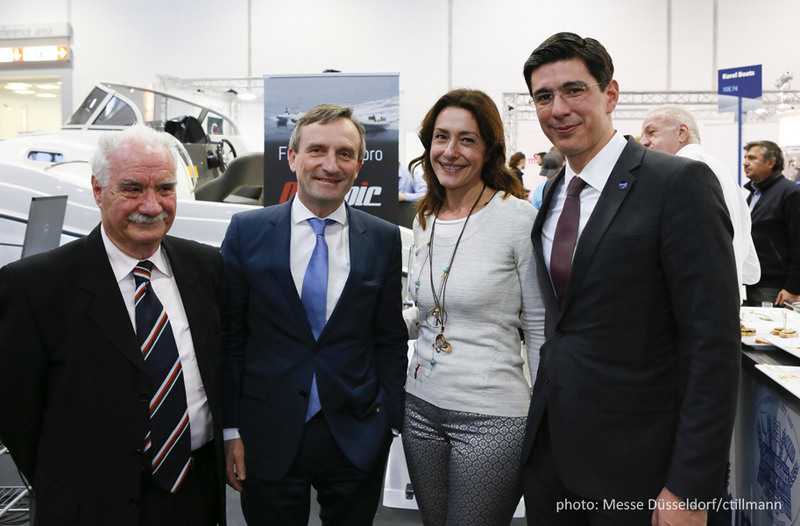 According to the organizer’s announcement (via the Greek general director Mr Petros Michelidakis) 242,000 visitors from the Netherlands, Belgium, Switzerland, Austria, Italy, France, Germany, Russia, but also from North and South America and other countries visited the trade stands. The stand of Kea’s Municipality was installed in the hall No. 3 (diving section) out of a total of 9 halls, where 800 exhibitors from 70 countries set out products and services of to attract professionals and consumers interested in marine tourism. 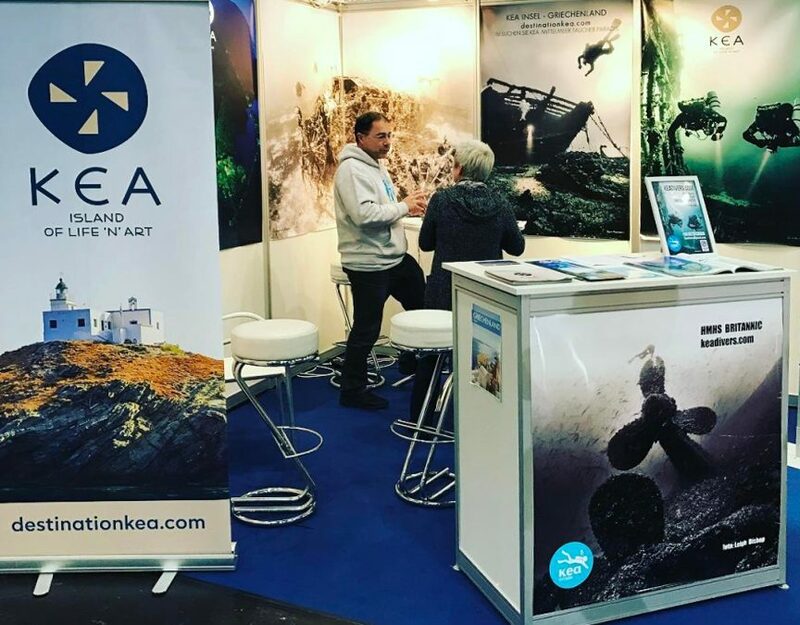 The main theme of Kea’s stand was diving activities, while emphasis was also placed on the promotion of the island as a thematic tourism destination. Kea was impressively welcomed, and greatly recognized, thanks to the International Conference on the 100th anniversary of the sinking of Britannic, which took place in Kea last September. Within those 9 days about 1,000 leaflets were distributed to visitors requesting information, and 1,000 more to passengers and stands of other exhibitors. 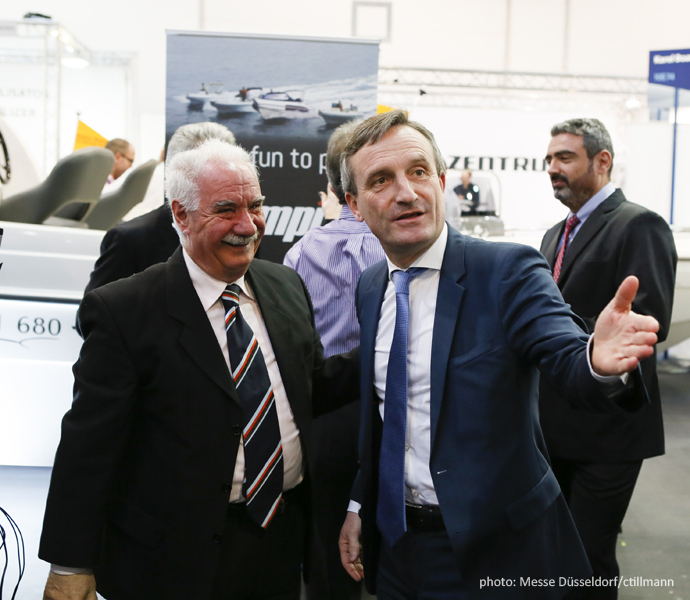 Το the fair’s success contributed also the reference that Düsseldorf’s Mayor made to Kea, at the opening of the Exhibition, as well as the personal contacts of Kea’s Mayor, Yiannis Evangelou, both with him and with the Consul General of the Hellenic Republic in Dusseldorf, Mr Gr. Delavekouras. Both of them highly enhanced the promotion of Kea in Boot and the work that has been done in the thematic forms of tourism that are offered on the island, with emphasis on marine tourism and diving activities. 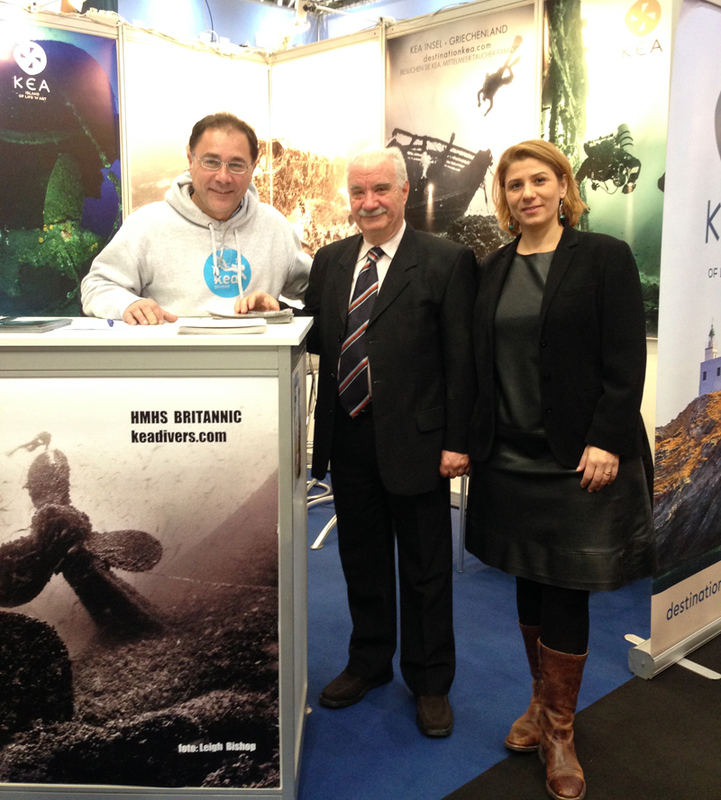 Diving centers and skilled organizers from Europe showed special interest in organizing tourist packages in Kea. Many media showed also interest in media coverage of a visit on the island. Great role also played articles on Kea and the International Conference on the 100th anniversary of the sinking of Britannic, since many visitors discovered the island through these publications. On the occasion of this interest, informative visits to Kea are planned during this year’s tourist season. 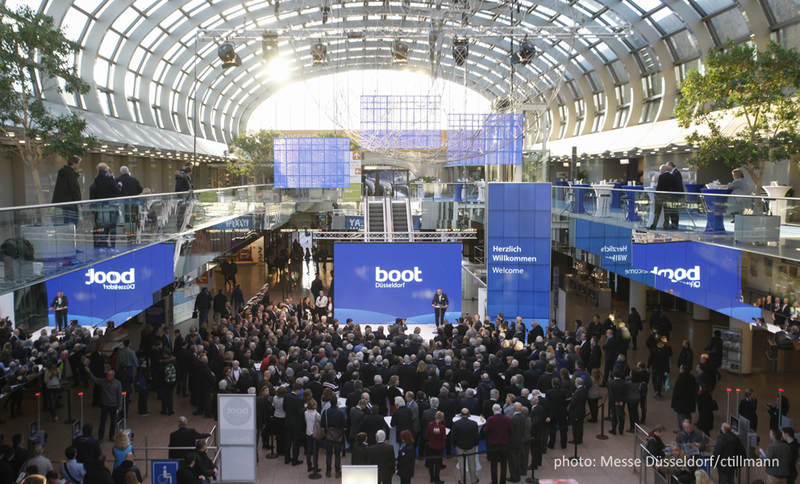 Read the press release from Press Department boot Düsseldorf here. Easter and First of May in Kea!